SPOILER ALERT for Gotham: Follow the White Rabbit! You've been warned! Last week's Gotham ended with Penguin and Ed Nygma getting... very close. The two definitely shared a moment, with Nygma telling Oswald that he believes in him and would do anything for him. Oswald's response was a tender hug and smile. Well, as it turns out, Oswald at least took that a considerable bit farther than Nygma - or at least that we know so far. In the opening moments of tonight's episode of Gotham, "Follow the White Rabbit," Oswald confesses that he's in love - with Nygma. "I've found someone," he says, "but love is no good if it's one-sided. I must confess my feelings to Ed." The Nygma-Cobblepot pairing is a popular one in the Gotham fanbase, whether fans just enjoy their extremely natural rapport and chemistry when they're scheming together, or "ship" them (accepted internet terminology for fans who like a certain relationship, real or imagined between two characters) as Nygmobblepot. A search for that particular term on popular blogging/social media site Tumblr yields pages upon pages of results. Fans love Nygmobblepot, and the idea that it might actually get explored on the show, and not just in fan art. 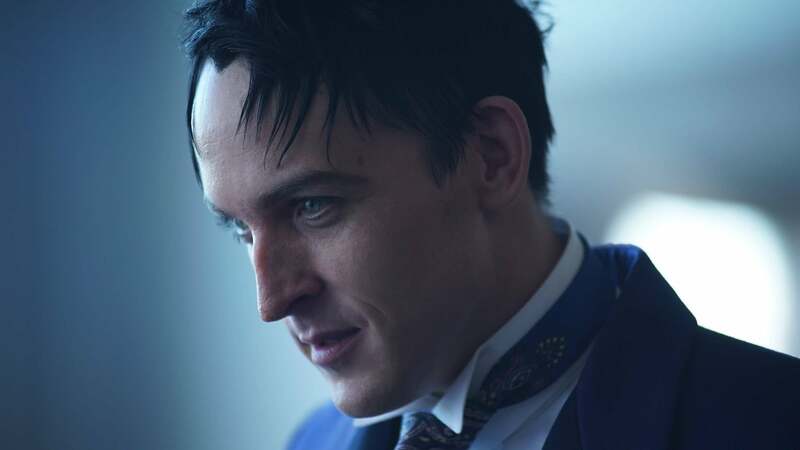 The rest of the episode teases a further development several times, as Oswald tries to tell Ed his truth. He eventually asks him to dinner to confess his love, but the episode ends with him practicing his speech to an empty chair. It's hard to tell throughout the episode if Nygma knows what's going on, or is responding positively to it. The end of the episode, however, will likely dash a lot of fans' hopes. Nygma is picking up a bottle of wine for dinner and thus running a bit late, it seems, when he meets a woman who looks shockingly like Kristin Kringle, his lost love (and second confirmed kill, naturally). She flirts with him, and gives him a riddle as part of the flirtation. He smiles and introduces himself, flirting back. Now, what's up with this woman? Well, she's going to be called a lot of names on the internet tonight - but there's also the impression that she might be up to something sinister; knowing that Nygma would respond to a riddle, hanging out by him for awhile before speaking, and looking a lot like Kringle are all giant red flashing warning lights. In the end, we don't get that much farther on the Nygmobblepot relationship, except to have Penguin admit, out loud, his love for Ed. That's a big step, of course. Will it go farther? We'll have to wait until at least next week to find out.